The upcoming Galaxy S9 and Galaxy S9+ have recently been certified by China's 3C committee and it this has revealed that the two devices will sport quick and wireless charging that will be pretty much similar to the Galaxy S8 and S8+ when it comes to overall charging speed. The recent listings for the SM-G9600/DS (Galaxy S9 China edition), SM-G9608/DS (Galaxy S9 Taiwan edition), and SM-G9605/DS (Galaxy S9+ China edition) reveal that regular 5V/2A wired charging and 9V/1.67A/15W fast charging will be supported on the devices. That's essentially similar to the specifications of Samsung's own Fast Charge technology found inside the Galaxy S8, S8+, and Note 8, which means that the Galaxy S9-series is certainly not getting updated with faster charging speeds. Of course, there's nothing bad in that - the Galaxy S8 and S8+ charged up pretty fast, with both the 3,000mAh battery of the S8 and the 3,500mAh capable of getting fully charged in around an hour and 40 minutes or less. According to recurring rumors, the Galaxy S9 and the S9+ will features similar batteries (3,00mAh for the S9 and 3,500mAh for the S9+), so it's safe to assume the S9 series will charge as quickly as its predecessors. Aside from being certified by the 3C, the S9 and S9+ have already been cleared through the FCC though nothing news-worthy came out of that. What remains to be seen is the duo's passing through China's TENAA, which should give us a fair look at multiple specs and basic renders of the phones. We'll keep our eyes and ears peeled for any new info regarding the upcoming Galaxies and will keep you posted. Fast charging only kills the battery faster. More heat, more stress to the battery. what about the technologies OnePlus, Oppo, and Huawei use? all the heat is generated in the charger leaving the phone slightly warm. No matter which fast charging method, you put the battery at risk with more voltage/current which is more stress to the battery. Fast charging is a very short term solution. I found charging at a lower amperage of 300 to 500 mA (like with the laptop USB port) instead of 1 to 2 Amperes actually recharges the battery much more closer to the designed specs. The percentage indicator does not tell you the correct mAh. Samsung always look to innovate the technology, but also care about quality. Rushing thing only makes huge mistake and lose reputation. LOL! Samsung doesn't provide a free wireless charger you know! Why wasted? It is an overall refinement and improvement. 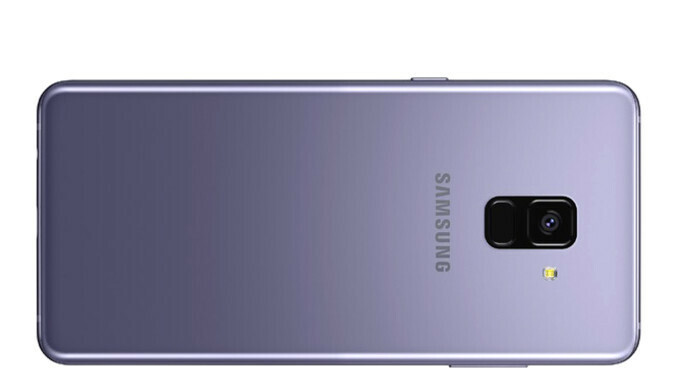 The S8 was already a pretty big jump from the S7. Expect a larger gap between the S9 and S10 Plenty of people hitting the end of their payments from other phone (like the S7) will want one. I will still get one (though not at launch) and both my S8 and S8+ are unlocked. I agree, these phones look promising and hopefully they entice users from other brands to convert just like the note8 last year. Personally, I'll wait for the note10 as I got the 8 right now and it's a beast, plus I'm on a contract. The two year upgrade cycle is the most efficient imo.